Today I am going to do Unboxing and Review of a Jewelry Subscription Service . It’s The Kitty’s Trinkets : An Instagram Store to buy a Jewelry subscription box . 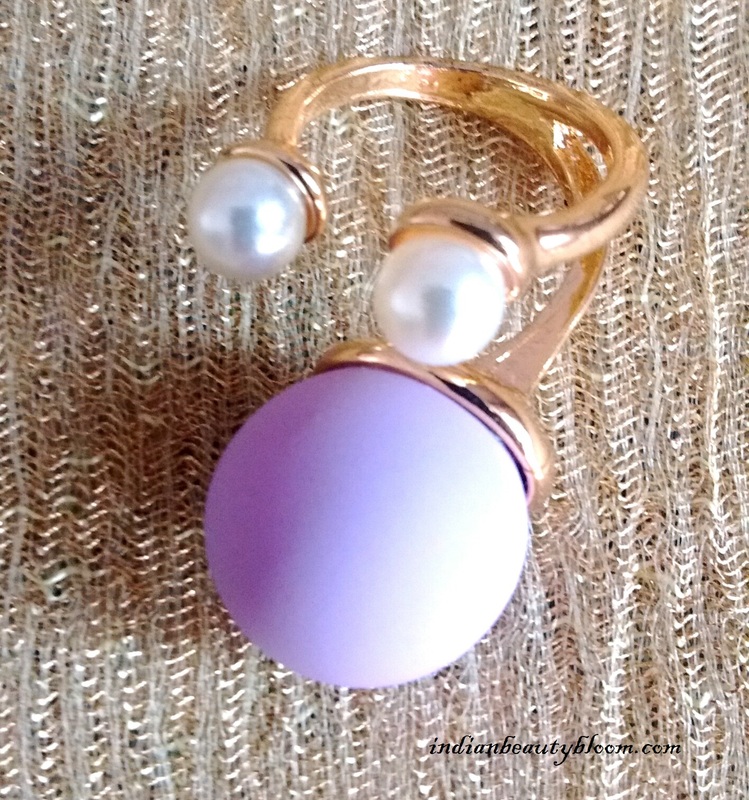 This Jewelry Subscription box provides 4-5 pieces of jewelry at an affordable price . The actual price of products are much more than the price of box . This Subscription box is Curated and managed by Kanchan Bhattacharya , One can connect with her on Instagram or Facebook . It’s a Surprise Jewelry Box so one cannot opt for customization . Every one will get same piece of Jewelry with some change in color or design . The September Month Box is an Office Edition Box . 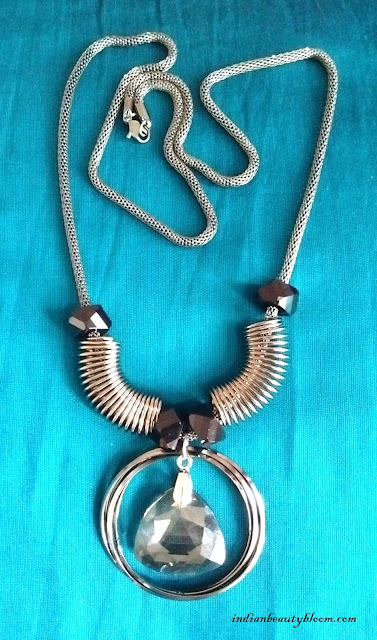 1.Black Metal Long Chain Necklace worth Rs 400. 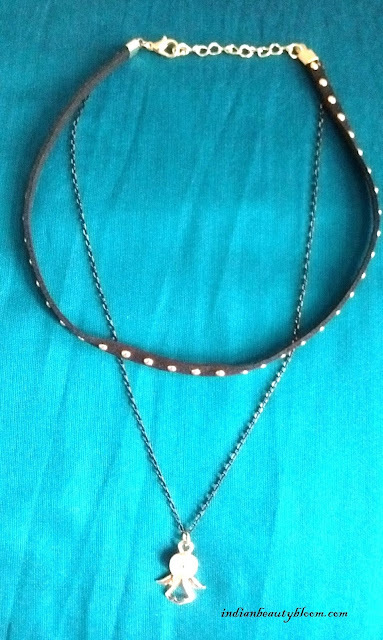 2.Choker Necklace worth Rs 200. 3.Small Dangler worth Rs 250 . 4.Long Dangler worth Rs 250. 5. Finger Ring worth Rs 150 . 6. 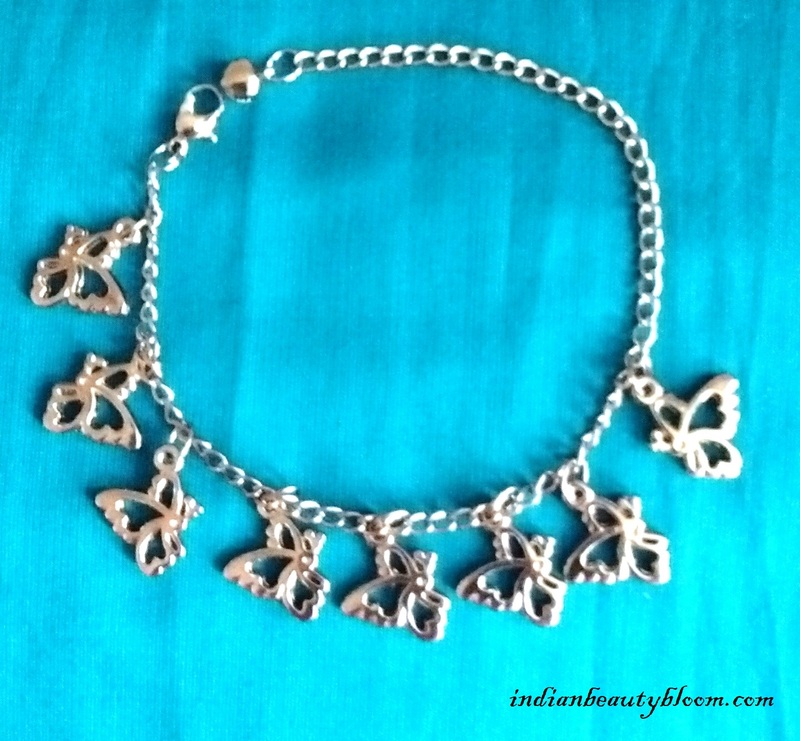 Bracelet worth Rs 50 . 7. Face Towel worth Rs 25. I am quite happy with the box as all pieces are too good . This is a beautiful piece of Jewelry , Perfect for office wear as it does make a Style Statement and isn’t too loud . Looks Elegant . Even good for college going students . Choker necklace are very popular these days , This one is good with double layer and looks too beautiful. Both the earrings I got in this box are too good . One is multi color one so can be paired with many dresses . The other one is of Oxidized Silver which looks too elegant . 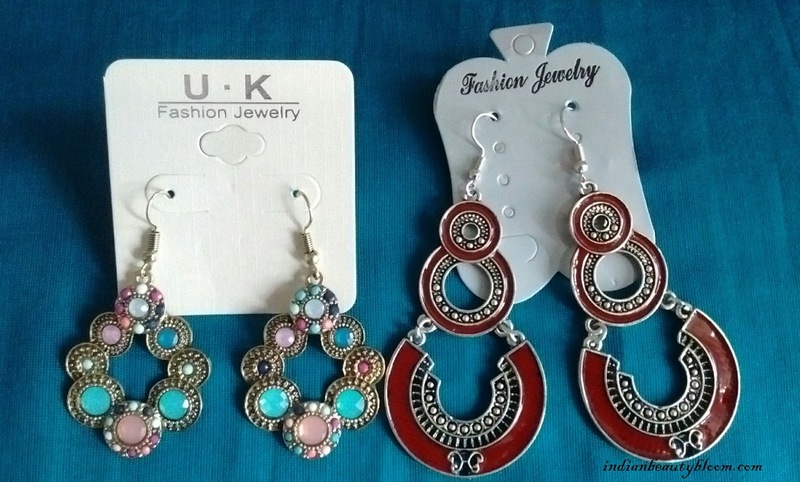 Both these pieces can be matched with both Indian Wear & Western Wear . Good for Office wear as well as for college going girls . The bracelet is too cute as it has small butterfly figures on it . It’s a Black metal one and ideal for young girls . My daughters loved this finger ring . It’s quiet different from usual ones . 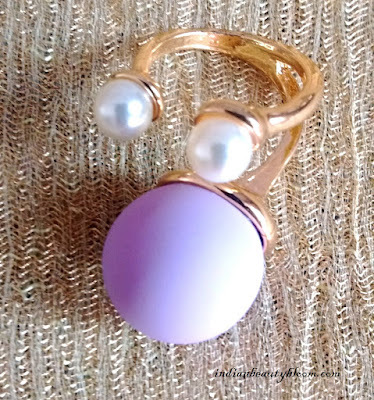 A lovely Purple color with two pearls makes it a Classy One . So these were the products I got in this month box . All Lovely Pieces of Jewelry , Suitable for daily wear . All these Jewelry are of Good Quality , they are not cheap local stuffs . The Best part is we are getting this box at an affordable price . I also got a coupon card Rs 50 off on next purchase . The Actual cost of all the products comes around Rs 1325 . The Box is Priced Rs 399 + Rs 100 Shipping . So It’s a Must Try One . There is a Special Coupon Code for my readers . Usually they have 4-5 products in each months box but Thanks to Success of BOHO Edition box we are getting 7 products in September month’s box . Do check the store and If interested in buying this box do place the order with the given coupon code.